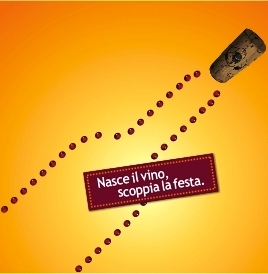 "OPEN WINERY IN SAN MARTINO"
The wine is here, so let’s party! St Martin’s Day (11 Nov) has always been an important date in the wine calendar: farmers have the saying that “At Martinmas all grape juice turns to wine”. This is why the wineries open on the second Sunday of November to celebrate the “new wine” from the recent harvest, and to welcome wine tourists for a special “preview” tasting of their fresh new fragrant wines, along with other delicious local seasonal products, and their own wine labels. This is a must if you want to savour the deep ancestral bond between wine and tradition. Guided tours in wineries, wine tastings, cultural events, music and dance performances. A event for wine lovers who want to spend the “Cantine Aperte a San Martino” day walking and iscovering the DOCG, DOP and IGP Puglia. Choose the itineraries organized to reach the wineries an oil mills. Participation is free and by reservation. Check seats availability.